Educational requirements and parameters have undergone massive changes in the recent years. Today, academics do not insist on classroom activities only. It lays emphasis on taking the students out in the open and allows them to learn something meaningful that they have learned in their books. In turn, it lays stress on educational tours or excursions that take the students in different locations and make them use their wit to create new knowledge for them. Modern educationists find these tours very important as they help them to grow their overall personality. Such learning is more effective for the students. Schools and other educational institutions take the responsibility of deciding the destination for student educational tours. However, places like Rajasthan, Darjeeling, Gangtok, Gaya, Nalanda, and Shantiniketan are very popular for the serene natural locations or educational traditions in the past. These places have the treasure of knowledge that the students can discover again by their own intellect. 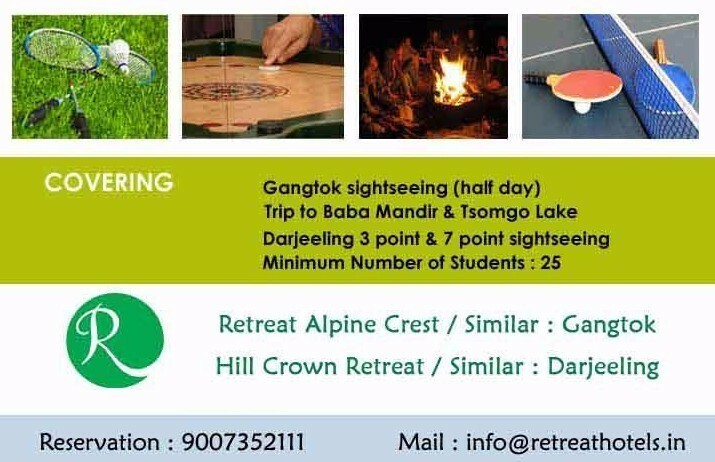 Retreat Hotels and Resorts understands the significance of educational tours and that inspires it to offer some of the finest offers and deals for Gangtok Darjeeling Student Group Tour. With an in-depth knowledge and expertise in handling all formalities of students excursion tour package, Retreat is a pioneer in helping the students and their educational institutions to get their objectives fulfilled. As a leader in Darjeeling Gangtok tour package, Retreat claims to be a trusted partner for holding the most amazing as well as well-organized students tour packages to Gangtok and Darjeeling. What’s Special About Offers With Retreat Hotels and Resorts? Ability to deliver additional facilities on demand in shortest turn-around time. All transfers and sightseeing from point-to-point basis. Retreat Hotels and Resorts claims to make every possible effort to bring the real essence of educational trips to the students in the most stress-free manner. It takes the responsibility to manage everything that the students would require. 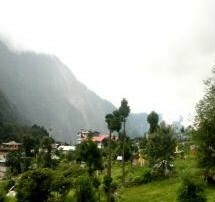 Contact Retreat today to make your queries for Students Educational tour Package to Darjeeling and Gangtok.